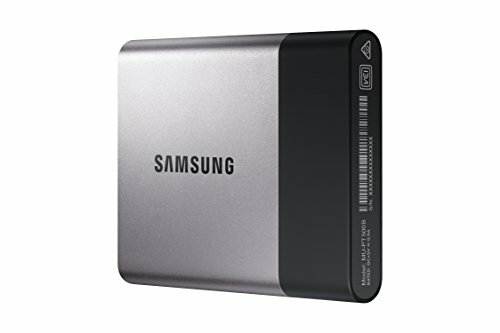 Until WD’s My Passport SSD showed up on our doorstep, Samsung’s T3 USB 3.1 (Gen 1, 5Gbps) portable SSD was the last word in super-svelte, high-capacity storage. Now there’s at least a conversation. The My Passport SSD even adds a little spice to the debate by using a Type C USB 3.1 (10Gbps) interface. 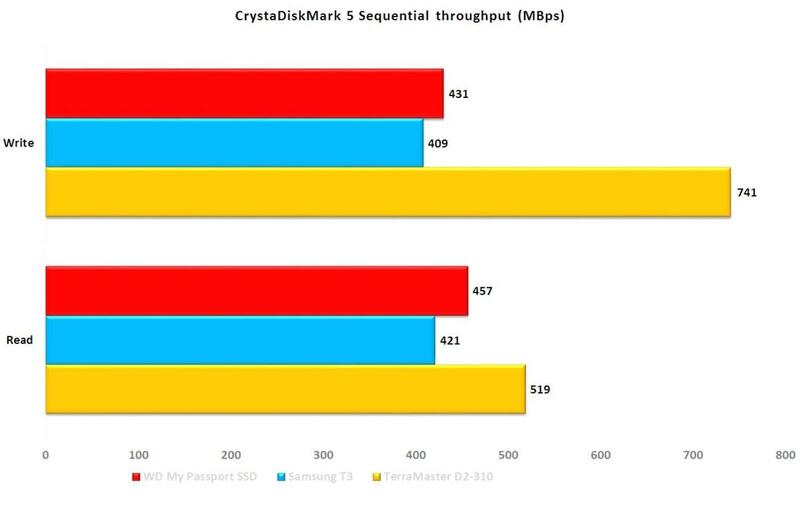 The extra bandwidth made no difference in performance, and the T3 is still a little faster. More on the why of that later. Small and fast costs more. At the time of this writing, the WD My Passport SSD was available only from Best Buy, with the 256GB version costing $100, the 512GB version priced at $200, and the 1TB version we tested going for an even $400. Darn, no break on capacity. That’s not cheap, but roughly on par with the T3. The My Passport SSD is roughly 3.5 inches long, 1.75 inches wide, and a mere 0.4 inch thin. We can’t think of anything offhand that’s of a similar size, though an oversized lighter comes to mind. The important bit is that it fits handily in the palm of your hand, and readily into all but the smallest of pockets. The drive weighs only a few ounces, and the two-tone, half-beveled design looks quite nice. A bit gaudier than the Samsung T3, but perhaps more interesting. The drive uses a USB Type C port, but comes with a C-to-A adapter for use with older systems. The beveled top gives the WD My Passport a nice look, and better grip. Note that while WD, unlike Samsung, bundles some pretty fair backup software, we don't recommend external SSDs for backup. That’s because all of the high-capacity USB SSDs we’ve used will occasionally, and seemingly arbitrarily, decide they no longer contain data. Recreate the partition and re-format, and they’re good to go, but the data is gone. We’ve experienced this type of failure with both the Samsung T1 and T3, as well as the Sandisk Extreme 900, with no discernible reason as to why. The 1TB My Passport SSD is a bit faster than the Samsung T3 according to CrystalDiskMark, as shown below. However, both our 20GB copy tests and the AS SSD benchmark mildly disagree. 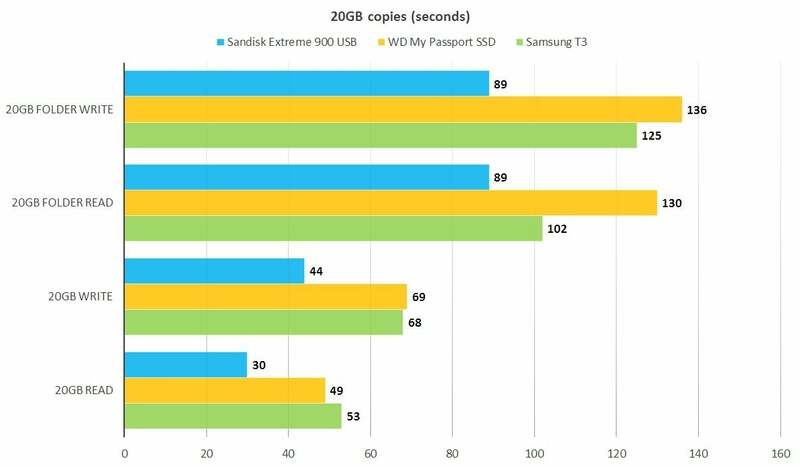 According to CrystalDiskMark, the My Passport SSD is faster than the Samsung T3, our other tests, including the hands-on, disagree. In our 20GB files and folder tests (see the chart below), the WD My Passport SSD lags significantly behind the Samsung T3, especially when reading. The Sandisk Extreme 900 included in the comparison uses two M.2 SATA SSDs in RAID 0 to boost performance. The Samsung T3 is still our fastest performer overall in the single-drive USB SSD category, but with large files you’ll never notice the difference with the WD My Passport SSD. 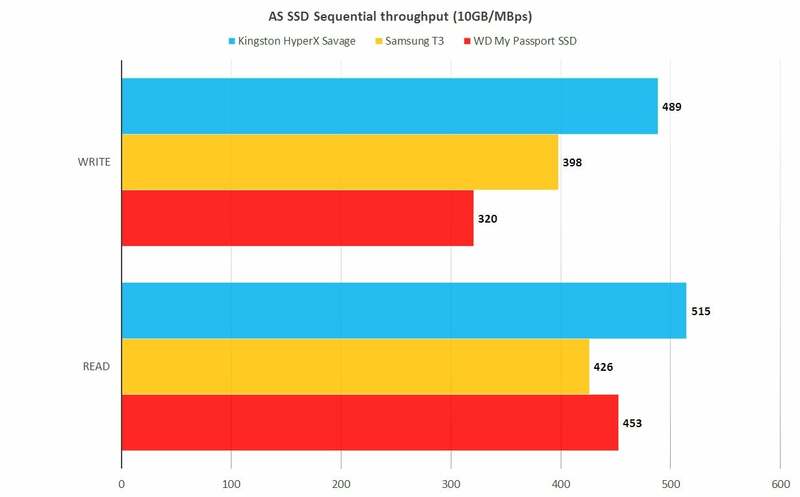 In the AS SSD test, the WD My Passport SSD reads a bit faster, but writes considerably slower than the Samsung T3. The Kingston HyperX Savage is a top-notch internal SSD that we included in the chart to show the relative performance of SATA 6Gbps and USB 3.1. If you’re wondering how a USB 3.1 Gen 1 drive (the Samsung) can keep up with or surpass a Gen 2 drive, it’s not the bus—it’s the drive. No SATA drive, such as those we believe to be inside the WD My Passport SSD (WD wouldn’t say what was in the drive—this is supposition based on performance) and Samsung T3, is going to transfer data at much over 500MBps, even attached directly to the SATA bus. Add a bridge chip and USB’s overhead, and 450MBps is pretty much the sustained limit. The only way you can start to utilize USB 3.1 Gen 2’s full 10Gbps bandwidth is with more than one drive coupled in RAID, as with AFTech’s Blackbird VS-2SSD, Sandisk’s Extreme 900, and TerraMaster’s DS-310; or by using PCIe NVMe SSDs with a PCIe to USB bridge chip as does Akitio’s Thunder 3 PCIe SSD. 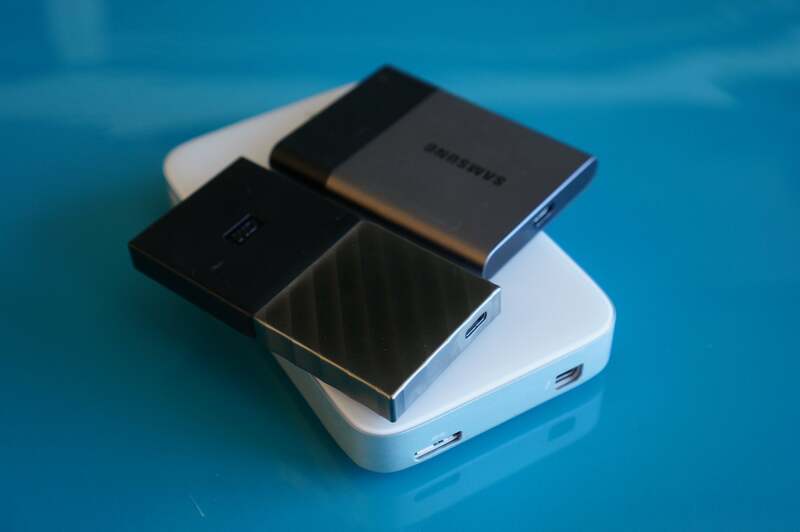 Western Digital’s My Passport SSD next to Samsung’s T3. 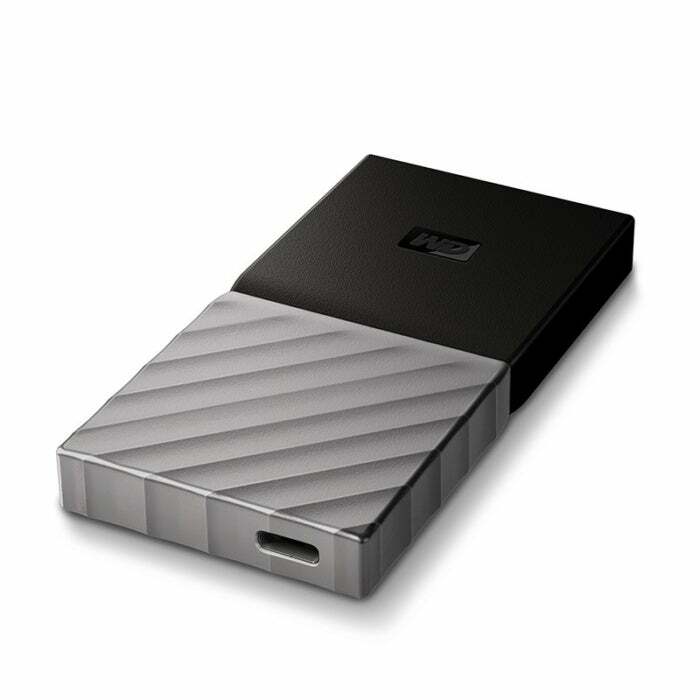 Under both is a standard hard drive-based portable drive. WD has done a very nice job with the My Passport SSD. It’s slightly faster than the T3 reading, highly portable, and handsome. But it’s slower than the T3 with small files, so all things being equal—and yes, we’re talking price—the T3 is the better buy. Not that you’ll be disappointed with either. Both are so much faster than a hard drive, you’ll swear off spinning platters forever. Oh, wait...except for backup. And capacity. And price per GB. 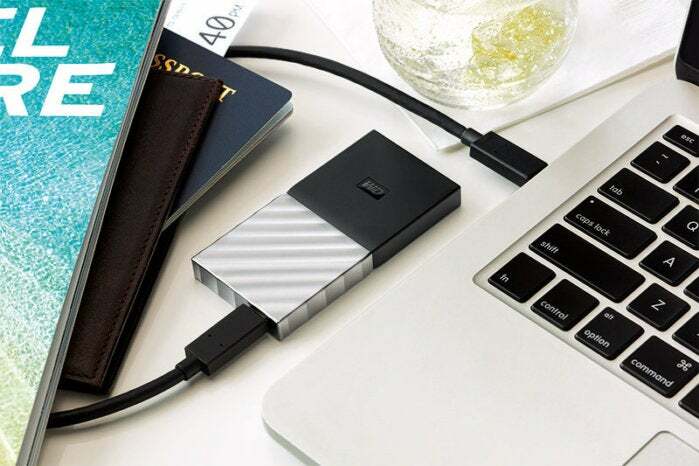 This external USB 3.1 10Gbps SSD is small, fast, good-looking and capacious. It's a great product, but it's slower with smaller files and folders than its main competitor--Samsung's similarly expensive T3.